PS4 owners trying to access the PlayStation Store have been met with an error message after updating their systems with the version 1.60 firmware. Sony, holding true to previously announced plans, released the 1.60 system update today for the PlayStation 4. 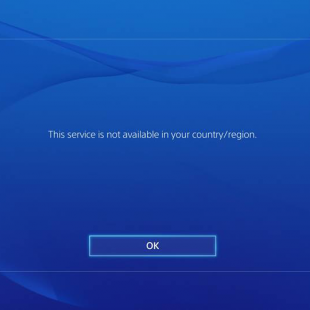 That being the case, reports have begun to surface that PS4 owners who have downloaded and installed the new firmware have, in turn, found themselves locked out of the PlayStation Store. Upon attempting to enter the store, users were met with an error message reading "This service is not available in your country/region." To find out more about this issue, we got in touch with PlayStation tech support staff who said that "an issue has occurred with PSN and is being addressed." They also indicated that logging out and back into the PlayStation Network, a method recommended in the PlayStation 4 support forums, would only have limited effectiveness until Sony "[fixes] the issue on the server end." That being the case, the support personnel in question stopped short of confirming that the PS Store problem did, in fact, stem from the 1.60 update. We've reached out to Sony for an additional statement. All in all, it's an unfortunate moment for the PS4 to go through this kind of hiccup. In my case, and I suspect many others, I discovered the problem while trying to download the survival horror title Outlast, which is newly released on PS4 and free to PS Plus members. Thankfully, in my case, logging out of my PSN account worked. That being the case, it stinks to think that others might stuck waiting when all they wanted to do was play a new game.